NHL News : Rumor: Calder favorite Strome headed to Canada? Rumor: Calder favorite Strome headed to Canada? One insider leaks the details of a potentially huge deal that could free the former top pick from Arizona. Thing have gone from bad to worse for the Arizona Coyotes. The 31st place team in the NHL not only has to put up with losing night in and night out, but now they’ve found themselves squarely in the middle of trade rumors. 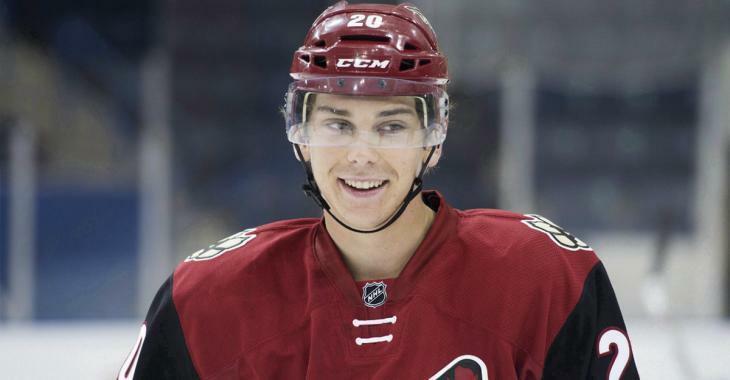 With speculation already surrounding the future of defenseman Oliver Ekman-Larsson in Arizona, the last thing Coyotes fans want to hear is that youngster Dylan Strome may soon hit the trade market. According to a report from dubious online rumor monger Eklund, the former 3rd overall draft pick could be moved to… the Ottawa Senators. Take the rumor for what it is right now, as Eklund does not have the best track record in reporting potential trades. But, at the same time, don’t be surprised if you start to hear Strome’s name pop up in more mainstream media outlets as a potential trade target. While the Coyotes are loaded with young talent, Strome may be the most intriguing of all, could he jumpstart his career with a fresh chance in Ottawa?